Raga Jhalavarali is the 39th Mela belonging to the 7th Music Chakra. The prefix ‘Jhala’ is added to the raga name in order to suit the katapayadi formula. It is the 4th in the list of 5 Ghana ragams Nata, Gaula, Arabhi and Sree being the other ghana ragas.Noticeably this is the only Ghana raga with Prati Madhyama. In Mind, Body and Soul Chakra – Chakra 7 is the Divine Chakra lined up with the heart and the throat chakras, enabling the higher spirit energies to work through ones voice and body. Therapeutically Varali is said to be good for Heart and Skin ailments and gastric problems. This raga is mentioned in many of the earlier texts in the names Varadi, Varati,Varali and Varatika and is said to be more than 1300 years old. It is with this name that it is referred in ancient lakshana grandhas like Sangeeta Makarandha and Sangeeta Ratnakara. It is also said that there was a place called as “Varata Desa” and this melody was prevalent there and hence the name Varati / Varali. According to Bharatha’s Natyasastra Varati is recommended in portraying rain, agitation, surprise etc. When it is adorned by dhaivata, it serves contentment, recollecting, concealing one’s feeling. The raga is also used to protray the rasa of Pranaya Viyoga or pangs of separation of lovers. Varali portrays both Karuna and Sringara Rasas. Now coming to the meaning of the term Varali. “Var” in Sanskrit means “to sound” and the term “ali” refers to Bee. So may be the meaning of Varali refers to “Sound/Hum of a Bee “. Varali is also known as Moon. After listening to Varali recordings quite a few times, I think the meaning “Sounds like a Bee” is very apt for the raga. Varali is an asymmetric raga due to the vakra prayoga and a vivadi ragam and the vivadi dosha is avoided by singing the arohana as SGRG which makes it a raga with vakra sampoorna (contains all 7 notes) in arohanam. The Sloka says that Varali has Purna Arohana-avarohana and can be sung at all times. The Graha Swaram is Shadjam. The notes taken are Shadjam, Suddha Rishabham, Suddha Gandharam, Prati Madhyamam, Panchamam, Suddha Dhaivatam and Kakali Nishadham. The raga has only one vivadi note and that is Suddha Gandharam. Gandharam in the raga is Suddha Gandharam which takes the place of Chathusruti Rishabham with a soft pull while played in veena. Suddha Gandhara which is slightly higher than Chathusruti Rishabham. Gandharam is a pleasant jeeva swaram in the raga. It can also be sounded as a pleading tone . As per Raga Nidhi of T.V.Subbu Rao, the Suddha Gandharam is higher in Arohanam and lower in Avarohanam. The Madhyamam used has a slightly higher frequency than the Prati Madhyamam, and is also called as Chyuta Panchama Madhyamam or Varali Madhyamam as it is popularly known. Varali’s Nishadam is termed as “Chyuta Shadja Nishadam” which is slightly higher than the regular Kakali Nishada. Though all 7 swaras are present in the raga, the notes G, M and N are the most important notes that brings out the raga swarupa. All the three come with their characteristic gamakas. The Raga Swarupa can be known by understanding not only the aroha-avaroha but also the phrases seen in the krithis. The melodic phrases handed down through gitam, tana, and other compositions have prescribed the phrases to be used and have also gently avoided the use of unmelodic phrases (being a vivadi raga). This is very evident from the krithis handled in Sangeetha Sampradaya Pradarshini which lays down the principle of characteristic phrases or sancharas for governing the melodic movements in a vivadi raga. Subbarama Dikshitar stresses the importance of the Gandhara janta prayoga in the avarohana. Jeeva Swaras – G , M and N( rendered with gamaka). p.dn dpm. – pm g; r – gm p,dp mgg,.. r..dn Sr sndpmgrrs- s,n g..grrs – gp,pmg.. grrs -mpd pd n, dpm-rr s S n dn dpM-pmpdPd pm G G R S…R n S d N pdnS.. s;p; mpd-mdp – pmg,,rrs. Varali has a distinct mood due to these phrases and characteristic gamakams.Several varja and dhattu prayogas adds glitter to the beauty of raga bhava. Varali permits several vakra prayogas including panchama varjam as g m d n and g m n d…While doing panchama varja phrases, varali has a special beauty if all the notes are oscillated. Similarly, panchama varja in avarohana is also very beautiful. Phrases like nd.. – nm..-ng…etc sounds very beautiful. The cycle of 5th combination of S and P are visible in many compositions. For instance in Kanakana ruchira, the Charanam SaaPathni maa.. The krithis of Trinity itself gives ample lesson as to what are the characteristic phrases of this raga. Another important feature is the scope of Briga Sancahras that can be used in this raga. Not very sure whether it is a feature of this raga or is it because some great musical mind has experimented it and found that brilliance of briga in this raga adds a beautiful colour and contour to the raga. Varali is very much a traditional raga that offers ample scope for manodharma sangeetham in par with the musician’s ability to touch the higher notes and also his capability of singing briga sancharas. A raga very close to Varali is Vijayasree (Janya of 47th Mela). Vijayasree has all the notes of Varali except Dhaivatha. According to Dr. Srivatasa, Raga Jaganmohana, a derivative of the 38th mela, is very proximate to raga Varali. Another allied raga is Subhapantuvarali where the Gandhara is Sadharana Gandharam.Again Raga Panthuvarali has only a one note difference- the gandharam which is Anthara Gandharam. Generally, it is said that Varali brings more ranjakatwam in slower tempo(may be because most of the varali compositions are in vilamba kala) and Vijayasree can have a brisk pace. There is a superstitious belief that teaching Varali direct to a student will strain the relations of guru sishya. Hence the students are advised to learn the raga by direct listening or by self learning. But factually, Varali is a difficult raga to be taught and learned. In case if the student fails to get a grip over the nuances and pidis of raga and sings in a wrong way, the Guru will be responsible for the same and may be it is for this reason that the earlier gurus safely avoided teaching Varali by citing the reason that their(guru-sishya) relationship will be strained. Hence no student would prefer to lose their relationship with their Guru and hence they may not insist their Guru to teach Varali. But the Guru will readily teach the raga called Vijayasree which is a close cousin of Varali. The popular song in Vijayasree is Vara Narada by Saint Tyagaraja. There is always this doubt as to which note should be/should not be oscillated or ornamented with gamaka in a raga. Here are a few guidelines. First and foremost, the most common phrase is SGRGM. SRGM is avoided due to vivaditwa. Graha, Amsa and Nyasa swarams are Shadjam and most of the compositions begin with S in Thara Stayi or as Adhara Shadjam. Shadjam as mentioned earlier in this blog, is a natural note or Prakruthi Swara and hence do not have gamaka. Gandharam is Suddha Gandharam. Suddha Gandharam is never plain and it is very much leaning to Chathusruthi Rishabham while oscillated. Since it is Suddha Gandharam, a vainika should not deflect the string too much so that Suddha Madhyamam is heard.But this Suddha Gandharam can be played as dheerga (long) swara or Hraswa swara. When Gandharam is played in Avarohanam, the Vivadi note is played as a dheerga Swara as in Phrase PMG…RS. When Suddha Gandharam is there in a raga, it happens to be a dheerga swara. This can also be seen in the Krithi Gaanamoorthe as G…G GRR..S. To establish a vivadi note, the vivadi swara is played as a dheergha swaram.Samvadi prayoga is very beautiful in this Raga. For instance jumping from G to D or N as GG D…DPM or GN…DPM G,,R etc. Madhyama is Chyutha Panchama Madhyama. Venkatamakhi was the first musicologist to use the term Varali Madhyamam. It is a special Madhyama which is almost Panchama. The oscillation of Madhyamam will take it very near to Panchama but does not touch the Panchama.. It is P,,m..p..m.
Again Panchama is a prakruthi swara and it is not oscillated. But panchama is oscillated to bring the beauty of dhaivatham. sd..dnsrsd.. etc. So dhaivatham is not having a very prominent role in this raga, though it is very much essential to bring out the raga bhava. Compared to Arabhi Gandharam which is referred to as Alpa swara, Varali Dhaivatham has a better status. Nishadam is almost close to Shadjam. Played as S..N S..N.
Though all 7 swaras are present in the raga, the notes G, M and N are the most important notes that brings out the raga swarupa. All the three come with their characteristic gamakas. The cluster notes figuring in the raga are rsn and dpm. They are tightly packed notes. Here the nishada is just like overlapping shadjam and madhyama is almost touching panchama as Pa ma. The feature of jaru or glide as s S, ndpm from adhara shadjam to tara shadjam, NM,,D- the glide from N to M, GG N…Dpm ., the glide from gandharam to nishadam (in the krithi Kana Kana ruchira) brings out the raga swarupa. It should be noted that there is no glide from S to P when we sing Sa Pa..Dha ma.. in Saapathnimaa in this composition. We learn that S … P in Varali will not use jaru gamaka. The raga has unique, slow and winding and turning movements, a variety of gamakas including the use of janta swaras and the thri-stayi advantage. These features highlight its melody taking the singer and the listener to extreme bliss. Each of the Trinity has composed exemplary krithis in Varali. The monumental Composition “Kanakana Ruchira” featuring in the Ghana Raga Pancharatna by Saint Tyagaraja comes to mind first. This krithi is an encyclopedia of Varali raga and several lessons can be learned from this composition. The Saint Composer has used the phrases of up and down patterns on each charana which can be beautifully incorporated in raga alapanai to bring out the colour of raga. Madhyamakala alapanai has a lot of scope in this raga. Tyagaraja has composed 17 compositions in Varali. The maximum number of krithis in this raga is composed by Annamacharya, the 15th Century Composer who is regarded as the Pada kavitā Pitāmaha -He has composed a whopping 204 krithis !! Dikshithar’s Mamava Meenakshi and Seshachalanayakam are gems and Syama Sastri’s “Karunajooduvamma“ is in par with the krithis of his contemporaries. The essence of Varali with all its characteristic/ signature phrases can be seen in all these compositions of the Trinity. Mamava padmanabha by Maharaja Swathi Tirunal set to Misra Chappu Tala is another beautiful krithi in this raga. Not to forget the most popular composition Kaa Vaa Vaa by Papanasam Sivan. This krithi brings a sense of completion of raga by touching the Tara panchama in the line “Sree Padmanabhan maruga”. Several avarohana phrases figure in the composition like Pazhanimalaiyurayu muruga..vaa as ” pm g..rsn etc. While singing swaras the avarooha phrases easily captures the raga swarupa. The grand Ata Tala Varnam composed by Ramanathapuram Srinivasa Iyengar needs special mention. Valapudasa is a beautiful padam with suttle gamakas embracing the the richness of anuswaras. Saint Tyagaraja has immortalized many ragas by composing several compositions in each raga. This exercise by the Saint Composer has raised the status of such ragas as major ragas and Varali is one such raga. Varali has retained its dignified postion in figuring in Pallavi Exposition, Ragamalikas, Viruthams, Padams, Varnam, Krithis etc. Maragatha mani vanna starts in Panchama in 2 kalai adi. Seshachalanayakam also begins in Panchamam. Several compositions are in misrachappu tala. Bangaru kamakshi for example. Did not come across any film songs in this raga. In this krithi Tyagaraja pours out his heart and laments as why he was born as a human ? According to his mood, the choice of raga is very apt conveying the emotion of grief, pathos and sorrow. The grief is immense in Anupallavi where he brings out the raga bhava with great impact.The entire krithi rests on Tara Shadjam and moves forth and back to gandharam and rishabham at right moments to wholly bring his emotion of sorrow. All these niceties together weaved into the Misra Chappu Tala makes the composition more dignified and outstanding. Sri. Lakshman Ragde estimates 434 compositions in Varali Raga. Oh Muruga/Shanmugha, who lives in Pazhani malai,come to protect me. Come, O son of Shiva ; Come, O Guha, who sits on Parvati’s lap . Come, O the Consort of Valli and Deivayanai. O, Sharavana, the supreme kind being . tharum vaantharuve yen Kula guru vee vaa ..
You, are the shower of kindness who grew up in Pazhani. Oh gem of a person ! I conclude this review with the words that Varali is the essence of purity and detachment. Varali is one such raga that brings beauty and light from the murky darkness as it steer clears our mind just like the water droplet on a lotus leaf which rolls down gathering fine dust as it moves on. Contemplating on Raga Varali can take the listener to a state of calmness, serenity, joy, strength, goodness and to a state of pure bliss through the path of Vairagya (Detachment) on his/her journey on this planet. Vairagya or Vairaga(Detachment) is absence of Raga (which can be called as attachment). This may lead to self- restraint and self-control which is very much essential in these days. After listening to Varali for almost 2 weeks now, life feels like a water droplet on a lotus leaf. A beautiful similie that comes to my mind is of the growth of the roots of Lotus plant in a muddy pond full of impurities, the stem growing up through water (sometimes muddy and sometimes clear) and the beautiful flower surfacing brilliantly basking the glory of sunshine. The same pattern is followed by us humans, where we are fully immersed in the mud of materialism and through the good/bad waters of experiences; we may bloom into a bright sunshine of enlightenment. 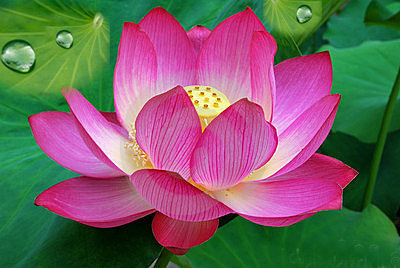 Travelling through the rough waters of experience, we show our best part out, just like a lotus. Excellent explanation and description of Varali.For many and to me Kaa vaa vaa symbolises Varali and the rendering by Madurai Mani Iyer among the best. madam, I hope ou wont mind if I share this to my group Ragavaibhavam in Fb. Excellent effort and collections. In instruments, I hope files 10 to 13 are missing. Further varali based cine songs may also be uploaded if possible. No files are missing as per my uploads. I have specifically mentioned that I did not come across any film songs. Think, you have not read the article written above. Fantastic. Just one other detail….the madhyamam can be played flat to bring out even more drama in the raga. Pranams. You told that thee is no cine song in Varali. I have presumed that “Partha vizhi” song from the Movie Guna composed in Ilayaraja is in that Raga. Is it or not? Pl clarify.